I don’t have a degree in English or Journalism, either. I am, though, a writer. For those of you who have decided you are a writer too, you don’t need a degree in English or be an expert in grammar. There are a few grammar hacks I’ve learned that have helped me. They’re great. A semicolon is used when you are combining two closely related sentences. John called me yesterday. He had a question about cats. John called me yesterday; he had a question about cats. Don’t use semicolons to replace colons, or if the sentences you are combining are incomplete. I used to think that commas fixed everything. If I threw commas in my sentences that it would magically make them grammatically correct. It wasn’t until my editor started correcting my comma splices in my text messages that I realized that is probably the worst thing you can do with commas. There are about 400 rules for commas, so my advice: use them with caution. Use commas when you would naturally pause when reading, and you should be fine. When using quotation marks, make sure that the punctuation stays inside the quotations (unless you live in the U.K., then the punctuation stays outside—so many rules!). When the quote is at the end of a sentence, you may be tempted to put the period on the outside. It may look right, especially when you are starting another sentence, but don’t do it. Incorrect: “The most important rule of writing”, according to Joe, “is to be specific”. Also, if you avoid adverbs, you don’t need to learn all their complicated rules. Enough said. The biggest hack to getting grammar right, is to keep it simple. If you’re writing complex, compounded paragraph or sentence. You will be bound to get something wrong. Keep it simple, for your sake, and your readers’. Write First. Then, Worry About Grammar. For many of us, grammar is muddy water. Our brains do not recognize or retain grammar rules. Edit after you write, and keep these hacks in mind. What is your least favorite grammar rule? Favorite? Let me know in the comments below! 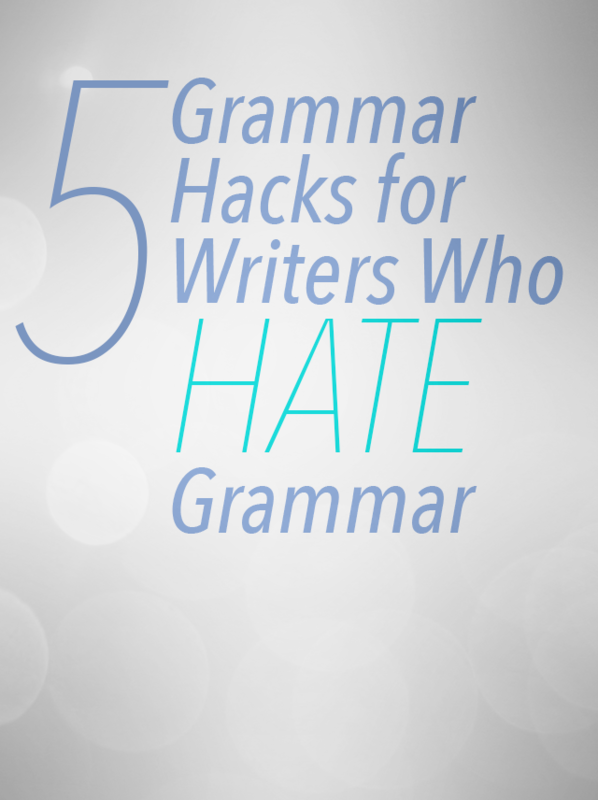 Practice these grammar hacks in your writing. Take fifteen minutes and write. Prompt: Joe and Kellie are fighting about grammar rules over the phone. Who wins? Post your practice in the comments below and leave some grammar-love for a fellow writer.